This tutorial was written by me on September 21st, 2015. Any resemblance to any other tutorials is purely coincidental! You may not copy/paste any part of my tuts elsewhere, but you may text link to them for challenges etc! 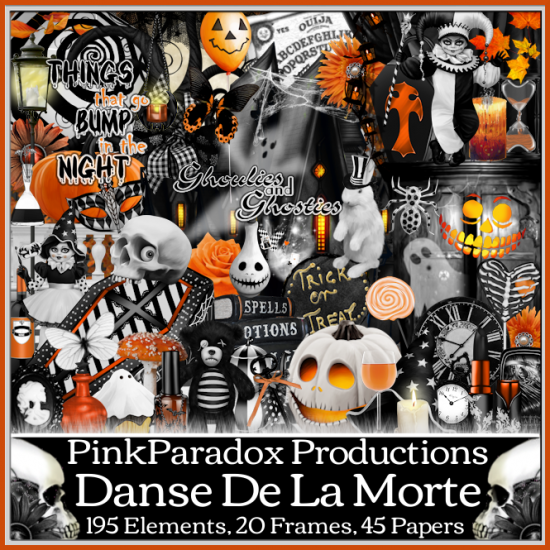 **New CT Tag** Scrap Kit of choice, I am using a PTU Scrapkit called *Danse De La Morte* By Pink Paradox Productions. Copy & Paste to canvas. Resize and Position add to center toward the bottom on canvas. Copy & Paste to bottom layer. Resize & Position add to center on canvas. Copy& Paste to layer just below tube. Resize & Position add to right side top corner on frames (23). Copy & Paste to layer just below tube. Resize and Position add to left side top corner on frames (23). Copy & Paste to top layer. Resize & Position add to left side bottom of leg of tube. Copy & Paste to layer just above frames (23). Resize & Position add to right side up behind tubes leg. Copy & Paste to layer just above frames (23). Resize & Position add to right side up next to element (29). Copy & Paste to layer just below tube. Resize & Position add to right side up against elements (29) and (30). (Duplicate) and over to right side to match. Copy & Paste to layer just below tube. Resize & Position add to right side up in middle as I have done. Copy & Paste to top layer. Resize & Position add to center bottom down under tube as I have done. Copy & Paste to layer just below tube. Resize & Position add to left side top up behind tube and cat. Copy & Paste to layer just below element (75). Resize & Position add to left side up next to books. Copy & Paste to layer just above frames (23). Resize & Position add to right side middle on frames (23). Copy & Paste to layer just above frames (23). Resize & Position add to left side middle on frames (23). Copy & Paste to layer just above frames (23). Resize & Position add to the center of frames (23) right behind tube. Copy & Paste to layer just above element (96). Resize & Position add center top on frames (23). Copy & Paste to layer just above (70). 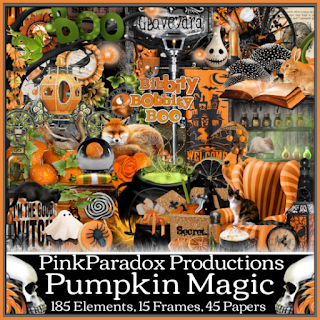 Resize & Position add to right side up behind pumpkin's. (Duplicate x3) and move each one as you wish. Copy & Paste to layer just above element (187). Resize & Position add to right side up behind pumpkins. (Rotate) (Duplicate) and mirror image by pressing ctrl+M. Copy & Paste to bottom layer. Resize & Position add to fit inside frames (23). This tutorial was written by me on September 18th, 2015. Any resemblance to any other tutorials is purely coincidental! 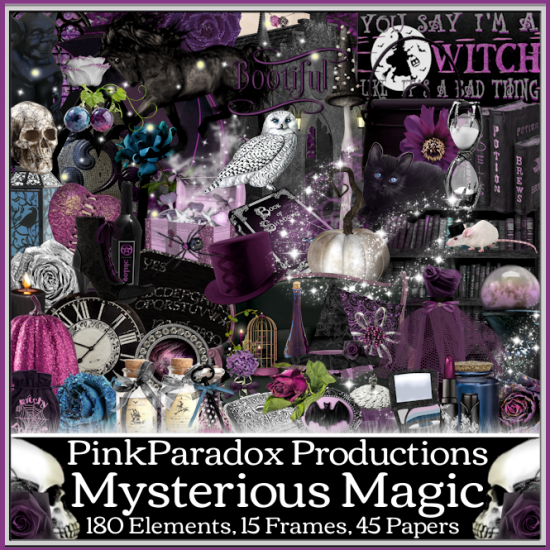 You may not copy/paste any part of my tuts elsewhere, but you may text link to them for challenges etc! 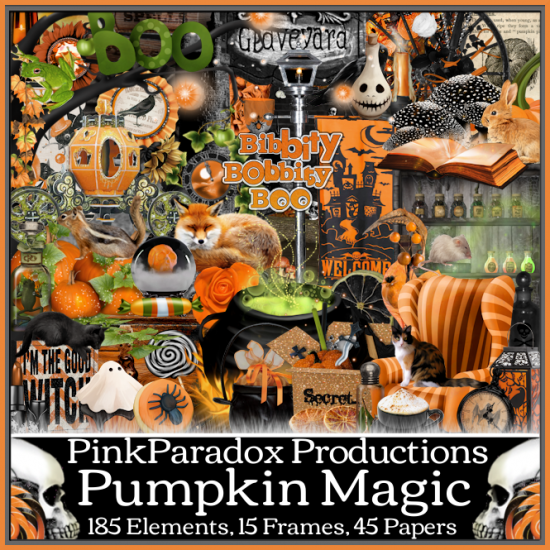 **New CT Tag** Scrap Kit of choice, I am using a PTU Scrapkit called *Pumpkin Witch* By Pink Paradox Productions. Copy & Paste to canvas. Resize and Position add to center on canvas. Copy & Paste to bottom layer. Resize & Position add to left side up behind tube. Copy& Paste to layer just below tube. Resize & Position add to right side behind tube to look as if she is sitting in the element. Select your Eraser tool and then select your tube and with your eraser erase tube where the arm of the chair is as I have done. Copy & Paste to layer just above element (67). Resize and Position add to left side up against element (67). Flip by pressing ctrl+M. Copy & Paste to layer just below tube. 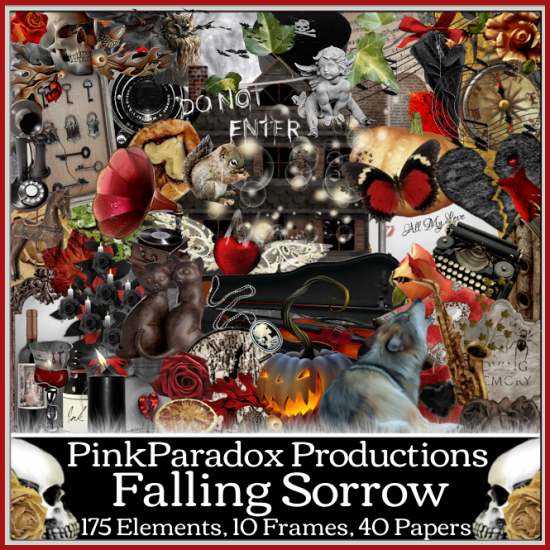 Resize & Position add to right side bottom up next to element (68). Copy & Paste to layer just below element (67). Resize & Position add to left side up in corner on element (67). (Duplicate). Copy & Paste to top layer. Resize & Position add to left side up on element (14). Rotate to your liking then duplicate it. Copy & Paste to top layer. Resize & Position add to left side bottom up next to tube as I have done. Copy & Paste to layer just below element (18). Resize & Position add to left side bottom behind element (18). Flip by pressing ctrl+M. Copy & Paste to top layer. Resize & Position add to left side top on element (67) top and center as I have done. Copy & Paste to top layer. Resize & Position add to left side top up on very top of element (67) and over on the left side. Copy & Paste to top layer. Resize & Position add to left side bottom up against elements (18) and (20) as I have done. Flip by pressing ctrl+M. Copy & Paste to layer just below element (68). Resize & Position add to right side up behind element (68). Copy & Paste to bottom layer. 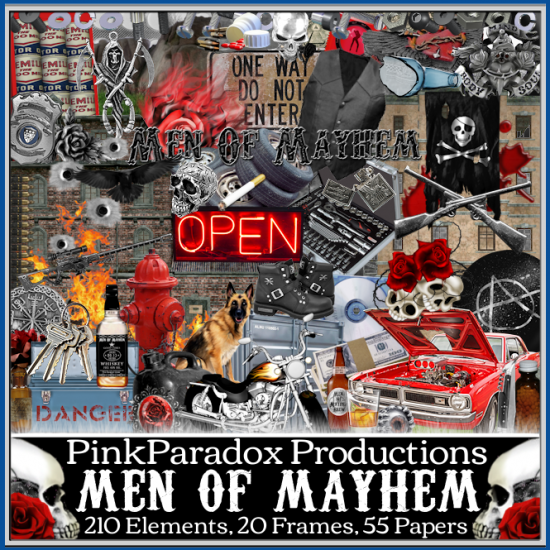 Resize & Position add to right side center up behind element (32). Copy & Paste to layer just above element (67). Resize & Position add to the left side up top on element (67) as I have done. Copy & Paste to bottom layer. Resize & Position add center bottom under all your bottom elements as I have done. (Duplicate) flip your copy by pressing ctrl+M. Copy & Paste to bottom layer. Resize & Position add to right side toward center. Flip by pressing ctrl+M. Copy & Paste to top layer. Resize & Position add to right side top corner as I have done. Copy & Paste to layer just above element (102). Resize & Position add to right side top under element (130). (Duplicate) to make it brighter. Copy & Paste to bottom layer.. Resize & Position add to fit inside frames (1). Copy & Paste to layer just below frames (1). Resize & Position add to fit frame. Flip and Erase extra from tube layer. Adjust tube color and brightness to what you wish. 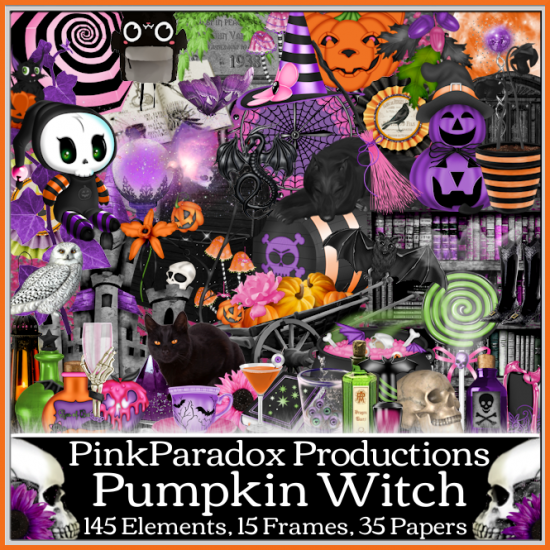 CT Tags For Pink Paradox Productions - Using Kit "Pumpkin Magic"
This kit is perfect for all you Halloween fans.This fantastic kit is super ! 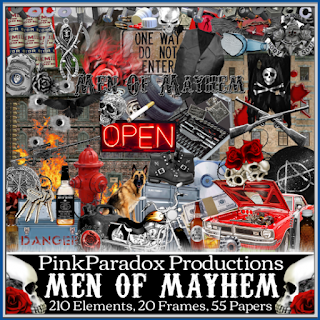 CT Tags For Pink Paradox Productions - Using Kit "Men Of Mayhem"
This kit is perfect for all you SOA fans.This fantastic kit is super ! 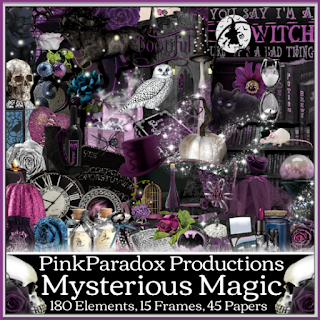 CT Tags For Pink Paradox Productions - Using Kit "Mysterious Magic"
This kit is perfect for you Autumn lovers.This fantastic kit is super ! 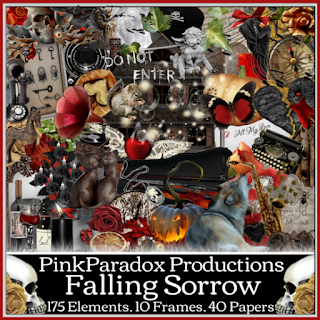 CT Tags For Pink Paradox Productions - Using Kit "Falling Sorrow"